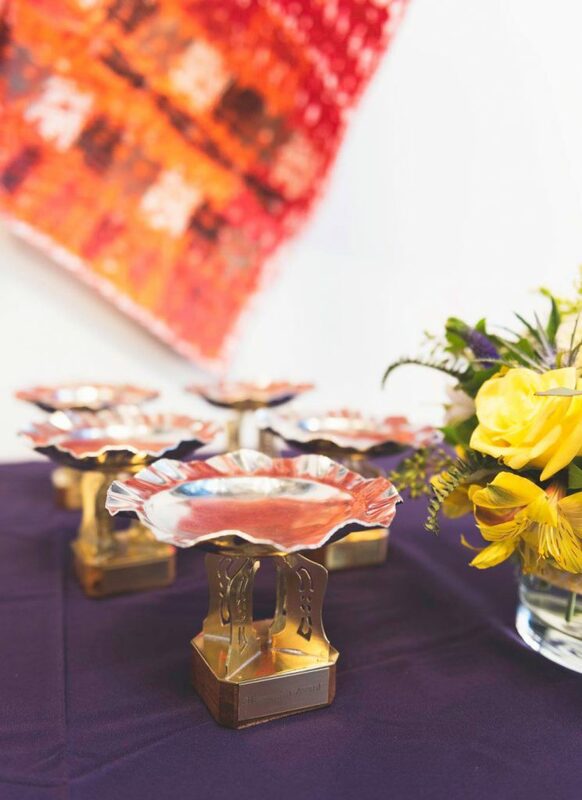 The Harwelden Awards honor individuals and organizations that have been exemplary advocates and supporters of the arts and humanities in the Tulsa community. A committee of Past Presidents makes final selection of the awards listed below from public nominations. Luncheon tickets are sold out. Dynamic leadership, which has had a significant impact on the arts and humanities in Tulsa. Examples might include particularly generous funding of the arts in general or a specific arts program or organization, creation of new programs, public arts advocacy, or leadership in strategic planning or capital campaigns. Consistent leadership, which reflects an ongoing commitment to the arts and humanities in Tulsa. Examples might include consistent generous funding of many organizations, board or volunteer leadership across years or in many organizations, as well as active and valued staff or volunteers. Visionary leadership, which has increased or changed the possibility and scope of the arts or creative life in Tulsa. Examples might include the founding of a new program or organization, as well as leadership in visionary and innovative partnerships or endeavors. annual Harwelden Awards ceremony hosted by ahha Tulsa on Friday, March 8th, 2019. Important: Please review all Mayfest Young Artist application details here! Clarity of purpose and goals.